Formark Scaffolding is one of the most highly respected independent scaffolding contractors operating in London and the South East. We have been established for more than 27-years and have an enviable reputation for the quality of our work and for consistently providing innovative, tailor made scaffolding services for renovation, repair and new build projects. 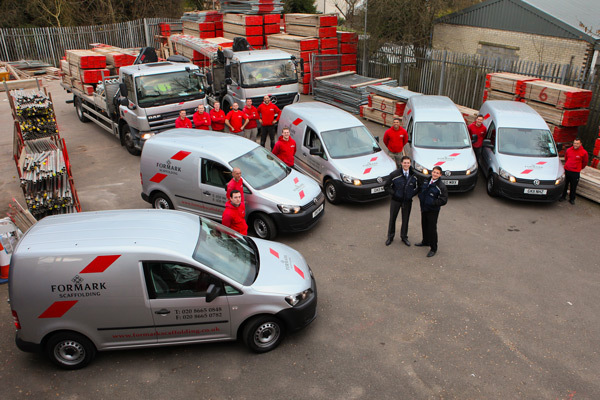 Trusted by many of the UK’s leading construction and restoration companies to provide practical designs, a fast and efficient erection and dismantling service and full site support, we work hard to achieve high rates of customer satisfaction. Formark Scaffolding has an impeccable safety record and to keep it this way we ensure that all our scaffolders are C.I.T.B. and C.I.S.R.S. certified and that there is a commitment to health and safety throughout the company. Please feel free to browse our site, which features many examples of our work as well as detailed information about the company. If you would like further information, advice or a quotation, please don’t hesitate to contact us.